October has been an emotional roller coaster ride for us. We got a contract on our former house – this news couldn’t be more welcome to our pocketbook! The offer was very low though, so we took a chance and countered. The next day, we headed out of town to my hubby’s eye specialist – he’s been getting monthly injections in his eyes for about 3 years. In September, one eye was near normal and the other not far behind – this was fantastic news! But in October, for some unknown reason, his eyes had grown worse, much worse. While we were on our way home from the appointment, theorizing about what might’ve gone wrong, the Realtor called – the buyers accepted our counter offer! But how could we celebrate when we were still trying to deal with the eye doctor’s report? 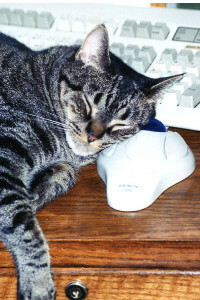 The next morning, when we woke up, we discovered that our seventeen-year-old kitty had a stroke during the night. We took turns holding him, expecting him to die any moment … but he didn’t. Finally we took him to the vet where he got a steroid shot and another chance. As we were putting down a tarp and erecting cardboard walls to keep him safe, there was more good news – our ninth grandbaby had just arrived! Such is real life … happy events followed by misery, bad news tempered by good. One of the reasons I enjoy writing a series is exploring the various ways people deal with these major events: a sick child, an elderly parent, a lawsuit … Interestingly enough, to me, is the way positive happenings sometimes bring us pain, while tragedy often results in good fortune – eventually. It helps me to understand the Bible verses that advise us to give thanks in all things, to receive whatever God allows into our lives as a blessing, no matter how well disguised as a curse. Anna and Michael are riding an emotional roller coaster much like ours in One More Chance, Book #3 in A Series of Chances. First hand experience helped me guess how they would deal with some of their problems, but it wasn’t easy to help them find their HEA. One thing I do know for certain – my own life is going to end with a HEA, even if I hope it’s a long ways down the road! 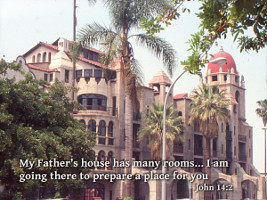 When I finally step off of the roller coaster, Jesus is going to show me the spot He’s preparing for me, even now. Doesn’t end any happier than that! Diane Lil Adams started writing when she was ten, and it's still her favorite pastime. When her husband became a believer after reading Christian fiction, she settled happily into that genre. 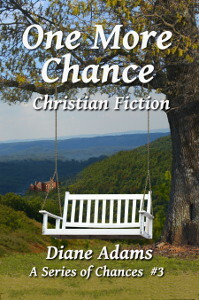 After spending the better part of her life trying to figure out how to earn God's love and forgiveness, Diane learned the meaning of grace, and loves to share it with her readers. Besides her bestselling, A Series of Chances, she has six standalone romances and one free children's book, all available on Amazon. There are multiple authors named Diane Adams though, so be sure and look for the Lil! Love this post, Diane. It’s so true that each month and year has its mixture of ups and downs–part of what keeps us focused on that ultimate happy ending. Prayers for your husband and his eye problems. You sure have been on an emotional roller coaster, Diane. I’m sorry to hear about your husband’s eyes. The Wilmer Institute at John Hopkins University is a renowned institute, in case your looking. A doctor there saved my father’s eye years ago. Congratulations on the new grandbaby! So sorry to hear about your husband’s eye trouble. I have been going to a retinal specialist and have had one injection. I can’t imagine going to have it done more than once! I loved your cat picture!! Congratulations on the new member of the family! Praying for your husband’s eyes. Congrats on the new grandbaby. Thanks for the encouraging post today. Praying for you, Diane, in all the ups and downs. God has his hand on you! Praying for the eyes too. Thanks so much to everyone for your kind remarks but especially for your prayers! He thinks his eyes are improving since that appointment, but he can never be sure. The new grandbaby is gaining weight and likes to sleep for long stretches – lucky parents! The old kitty is getting around pretty good now and it looks like he’ll be with us for a while longer. Of course, a whole new list of things have happened since I wrote this blog but … I’m learning to take the bitter with the sweet a little more each day. Blessings! Congratulations on your ninth grand baby and the selling of your home! Prayers for your husbands eye.